The Myth of the Welfare Stale is a basic and sweeping explanation of the rise and fall of great powers, and of the profound impacts of these megastates on ordinary lives. Its central theme is the rise of bureaucratic collectivization in American society. It is Douglas's conviction, which he supports with a wealth of detail, that statist bureaucracies produce siagnation, often exacerbated by inflation, which in turn produces the waning of state power.Douglas has his own set of ""isms"" that require concerted attention: mass mediated rationalism, scientism, technologism, credentialism, and expertism. People who make policies have little, if any, awareness of the actual way social processes evolve: agricultural policy is set by people who know little of farming, arid manufacturing policy is set by people who have never set foot on a factory floor. In light of this ""soaring average ignorance,"" it is little wonder that policy-making has Alice-in-Wonderland characteristics and effects.Douglas sees the notion of a welfare state as a contradiction in terms; its widespread insinuation into the culture is made possible by its weak mythological form and benign-sounding characteristics. In fact, welfare states in whatever form they appear have failed in their purpose: to redistribute income or increase real wealth. The megastates are the source of social instability and economic downturn. They grow like a tidal drift. They start out to correct the historical grievances of the laissez-faire states, only to increase the problems they seek to correct. 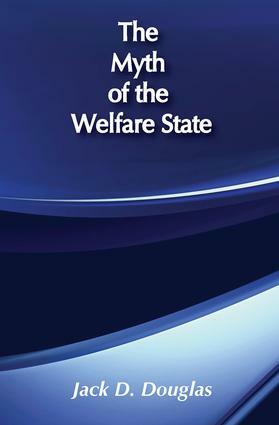 In this, the welfare state is a weakened form of the totalitarian state, producing similarly unhappy results.Professor Douglas has produced a work of ""anti-policy"" - arguing that freedom leavened by an ordinary sense of self-interest and social concern can overcome the shortfalls of the megastates and their myth-making, self-serving, propensities.